In Part 1 of this blog topic I went over some basic essentials for fitness professionals that manage their own search engine optimization (SEO). Managing your own website and SEO takes a lot of time, but on the other end it is costly to invest in a SEO consultant. Starting your own business doesn’t always mean immediate revenue and saving cost on website development by managing it yourself is 100% possible. In the last article I mentioned a story of an SEO “expert” who wanted to charge a gym owner upwards of $8000 a year to just do SEO. 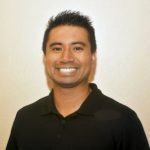 Just recently I spoke with another gym owner who after 11 months of working with a SEO consultant had not even had his gym listed on Google Maps. As I hinted at in my previous article, Google is the authority on internet ranking and using any Google-related platform will only help your search presence. If you haven’t read the first part of this SEO series for fitness professionals, I highly recommend you start there. In this article I am going to review three more tools that will help you rank higher and increase website traffic. a) Call to Action: At the end of each video you sometimes hear someone add a call to action like “don’t forget to like” or “make sure to subscribe”. We want to make sure we add these in because the average person isn’t thinking “oh I need to like this” or “I should subscribe”. By adding in a call to action you can hopefully grow the likes and subscribes of your channel. c) Description: This is probably the biggest mistake made by YouTube novices. The ideal description should be 250 words or more. When you think about it, Google can’t watch videos and know what they are about. The description allows Google to get an idea about the video. While there are some schools of thought that believe that sharing anything is going to generate activity, in my personal opinion, nothing beats original content that meets the general specifications of the outlet you are posting on. Just like how I posted the recommendations for YouTube above, blog posts have recommendations as well that help you increase search engine visibility. When you think above improving traffic to your website, what do you think is going to work best? A shared link to another website or original content targeting your niche market? When stated like that it almost seems too apparent, but of course there are barriers. Creating original content takes exponentially more time to develop. Not only is it hard to create topics to write about, but after you have to proof, create the web page, original image and optimize each page for SEO. But just like with each project, the more love you put into it, the more you get out. One of the major benefits of developing original content is the ability to network each post. Having friends, family or even other organizations share your post opens up your business to their audience. If you’re not doing paid advertising on social media, this can help you organically grow your followers and also clicks to your website. This suggestion is an old one but an effective one. Just this week I saw the benefit of labeling your images on your website when I looked up images for the new Mace Certification coming out for KIPS. While searching Google I saw images of a friend’s gym who is hosting a mace workshop next month with the same mace instructor. Since each of his images are labeled properly, Google thought his images were appropriate to show. When you think about typical image titles, most are “image001” or “image675,” which gives Google no indication of what or who this image is appropriate for. To give you a direct example of how this benefits your SEO, lets use a WordPress example since a lot of website are using this platform. When you add an image to WordPress there is a URL created for that image (ex. www.yourwebsite.com/images/imagename). So not only does that image now share the same domain as your website, but it ads another link to your site and can now be searched on the web. SEO is a complex and evolving field within online marketing. Do I think I am the “guru” of the fitness world with SEO? Absolutely not, but the tips shared in this post and the original are some of the tools that have helped me grow KIPS on a budget. Each year Google is looking to help improve web search for consumers, and each year some methods become extinct. For example, a website I recently consulted on had multiple hyperlinked words which used to help create credibility for the blog post. This method still has some validity to it, but not as much as it used to. Five years ago, bloggers would hyperlink 8-10 words to Wikipedia and often hyperlink the same thing. Google eventually caught onto this and now gives credit only when the hyperlinked text helps inform the user. 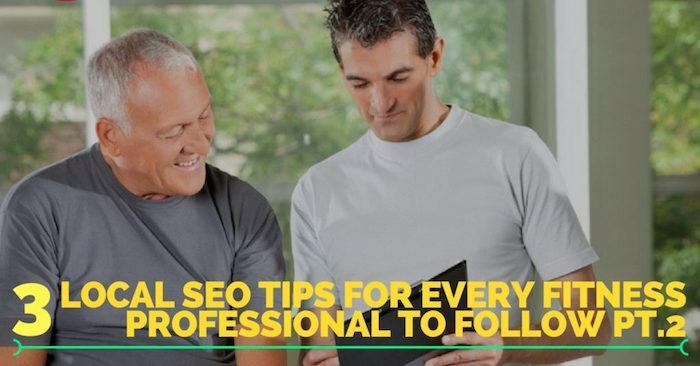 For example, in this post you’ll notice that I hyperlinked the previous post on SEO and the YouTube video where I got tips about YouTube SEO. A blogger 5-years ago might have linked “YouTube” and even bigger words. To summarize this two-part blog series, SEO takes time. A commodity that some of us do not want to invest in a resource that might initially be a foreign language. For fitness professionals on a budget, YouTube will be your best friend and can help you learn valuable information to increase your website traffic. If you have the resources to invest in a SEO “expert” make sure that they are willing to teach you along the way. In my opinion, the SEO consultants that are confident enough in their services to teach you along the way are the ones who will put in the work.